TAHPI has created in conjunction with local government health authorities the modern form of ready to use Health Facility Guidelines in use by Australasia, the UAE, India, Sharjah, Papua New Guinea, and now internationally. TAHPI’s iHFG – International Health Facility Guidelines are a ready to use set of web based room data sheets, room layout sheets, 3D Revit and AutoCAD Models, for use in Health Facility Projects around the world. 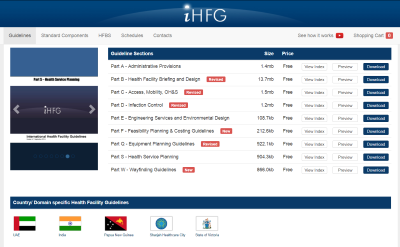 The iHFG – Health Facility Guidelines include parts that relate to all aspects of a health facility project including: Administrative Provisions, Health Facility Briefing and Design, Access Mobility OH&S, Infection Control, Engineering Services and Environmental Design, Feasibility Planning & Costing Guidelines, Equipment Planning Guidelines, Health Service Planning Guidelines, and Wayfinding Guidelines. The iHFG – International Health Facility Guidelines are used by Health Facility Planning experts worldwide in the planning, briefing, design & construction of healthcare facilities. The iHFG guidelines place emphasis on achieving outcomes which reflect current healthcare best practice in a safe and appropriate environment at a reasonable facility cost. iHFG represents patient focused, research based, modern and efficient health facility planning principles. TAHPI’s staff are globally regarded as experts in the implementation of health facility guidelines into any health facility project with hundreds of successfully completed projects that comply with local guidelines. TAHPI has deep experience in the implementation of tools and practices into health facility project workflows that ensure the guidelines are used effectively without slowing down the timeline. 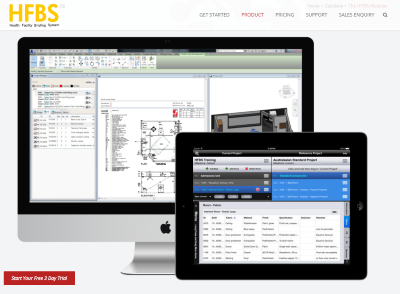 One of these tools is the HFBS – Health Facility Briefing System which allows users to quickly drag in ready made guidelines to create a brief, and the HFBS for Revit Module which links the compliant brief with a 3D Revit Model & Families instantly. The Sultan Qaboos University Hospital Comprehensive Cancer Care Centre is a stand-alone super speciality hospital in Muscat, Oman. The facility is within the university campus, offering a complete range of consultation, diagnostic and treatment facilities for cancer care. The Centre includes a range of services with emphasis on cancer care such as radiotherapy bunkers, operating theatres, medical imaging, nuclear medicine, inpatient accommodation and outpatient services including chemotherapy. 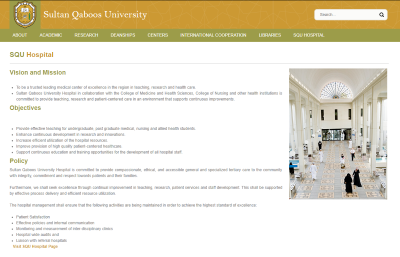 Sultan Qaboos University Hospital implements iHFG – International Health Facility Guidelines in its Health Facility design process. 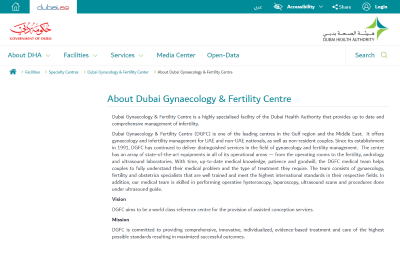 The New Dubai Gynaecology & Fertility Clinics is designed for the Dubai Health Authority to be a centre of excellence and is part of Latifa Hospital. The facility will include operating rooms, fertility, andrology & embryology laboratories, ultrasound facilities and other outpatient services. New Dubai Gynaecology & Fertility Clinics implements iHFG – International Health Facility Guidelines in its Health Facility design process. 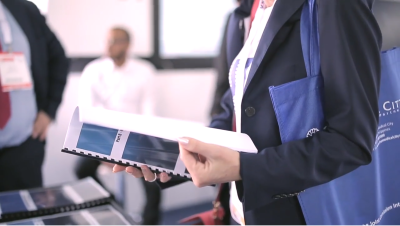 TAHPI has extensive experience in the customisation and implementation of Health Facility Guidelines for multiple countries including Health Authority of Abu Dhabi, India and Sharjah. TAHPI also specialises in the Health Facility Service Planning, Health Facility Architecture, Specialised Health Facility Interior Design, Health Facility Project Management, Health Facility Project Briefing, and Medical Equipment Planning. For more information on TAHPI please visit our website: http://tahpi.net or contact us today: +971 4 428 1348.